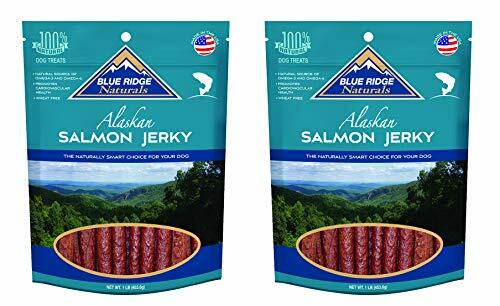 Blue Ridge Naturals Salmon Jerky is made from real Alaskan salmon. Rich in Omega 3 and Omega 6 fatty acids, salmon is beneficial for your dog's cardiovascular and joint health. These tasty treats also promote skin and coat condition. They are wheat free and are sure to become your pets favorite snack! Don't settle for "meat-flavored" treats when you can give your friend the real thing! If you have any questions about this product by Blue Ridge Naturals, contact us by completing and submitting the form below. If you are looking for a specif part number, please include it with your message.